Using the same formula as in their books on The Normandy Battlefields and Race to the Rhine, Leo Marriott and Simon Forty combine bespoke aerial photography with old photographs, maps, and current illustrations to provide a pictorial analysis of the subject—Around 500 illustrations ensure the subject is well covered. 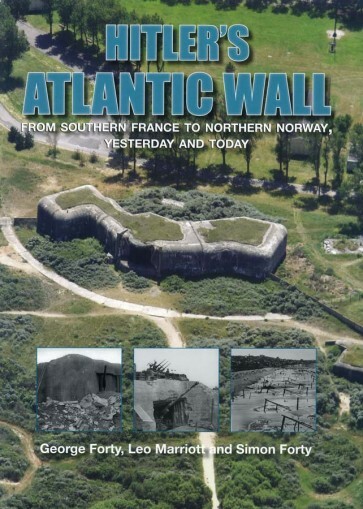 After opening sections on the construction of the wall, the defensive plan, and the different structures that were built, Hitler’s Atlantic Wall yesterday and today provides a survey of the key locations and what can be seen today—including many of the museums that interpret them. The bulk of the book is divided geographically by country, dealing with France, Belgium, the Netherlands, Denmark, and Norway. After 70 years, the Atlantic Wall is still a remarkable reminder of the war years, and one that continues to fascinate. "...provides a excellent guide to this huge undertaking, a line of fortifications which stretches over 5,000km. It follows on from their earlier title on the Normandy Defences, but this time looks at the Atlantic Wall over its' entire length. Sites such as thos in Normandy attract millions of visitors over the years, others outside that particular area are perhaps less well known, yet a number of now museums and open to public view, and some with their original guns still in place...A fascinating book and at what I think is a reasonable price, so well worth adding to your book shelf." "This is a quality book produced by quality authors…Highly recommended." "Plenty of photographs maps and diagrams to get stuck into, with plenty of contemporary images to reference if you are going to visit any of the sites...an excellent read." “This is a refreshing approach and is very well researched…do not leave home without it!” – Full review is attached. 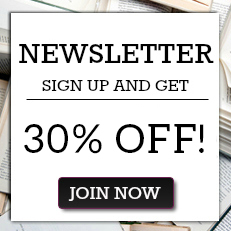 "The Britain at War team have no hesitation in recommending this book most highly and choosing it as this month's Book of the Month.”"